Abstract. Continuous change occurs in almost all interesting real problems, including oil refinery management, logistics planning, mission planning for autonomous vehicles, experiment design, financial planning and energy demand and supply management. Most research communities that are concerned with action and change: the qualitative reasoning, formal verification, controls, optimisation and knowledge representation communities - also recognise the importance of continuous processes and their impact on predicting and controlling dynamic systems. In the planning community the problem of reasoning about continuous change and its implications has been explored in autonomous vehicle mission-planning using hybrid model-based reasoning and stochastic and hierarchical modelling, and in process plant management using non-linear constraint modelling. However, despite the development of planning domain modelling languages, such as PDDL+ and Opt, domains featuring autonomous processes and exogenous events have not yet been developed as benchmarks for domain-independent planning. The speaker will present some features of planning problems that distinguish them from typical problems in optimisation and control and discuss progress and open problems in planning with continuous change. Short bio. Maria Fox is Professor of Computer Science at the University of Strathclyde. Her research includes contributions to planning domain modelling and automated static domain analysis, domain modelling languages and their formal semantics, planning for temporal and metric domains, continuous planning, plan validation and plan execution monitoring. She co-developed PDDL2.1, the temporal and metric version of PDDL, and was a co-organiser of the 3rd IPC which precipitated many new developments in temporal planning. She is an Associate Editor of Artificial Intelligence and a member of the advisory board of JAIR, having served over several years as both an editorial board member and an Associate Editor. 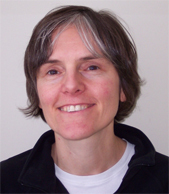 She has also served on the programme committees of many conferences including ICAPS and IJCAI, both in PC member and Area Chair capacity and she co-chaired ICAPS-07. She has helped to build an internationally known planning group at Strathclyde, where she has also been Department Head since 2007. Abstract. Advances in sensing and web technologies now provide unprecedented ability to obtain and maintain up-to-date, real-time information on the location and status of materials and resources over time. In application areas as diverse as transportation planning, supply network management, disaster response and traffic control, it is now truly possible to base planning and scheduling decisions on actual execution state. The perceived benefit of this approach, largely unrealized at this point, is that it offers the possibility to better cope with the uncertainty inherent in large-scale, multi-agent execution environments, leading to more responsive and ultimately more effective organizational performance. This talk considers the prospects for a new class of execution-driven scheduling models. These models start from the premise that scheduling is a dynamic optimization under uncertainty problem, where new goals arrive continuously and must be weighed against current commitments, where the constraints associated with scheduled activities are uncertain, and where the resources required to execute activities are unreliable. Execution-driven scheduling models must also deal with the communication and coordination constraints of multiple executing agents, which frequently force or encourage distribution of problem solving effort. I will summarize threads of ongoing research in building robust schedules, managing change in dynamic over-subscribed domains, learning and exploiting models of uncertain scheduling constraints, and coordinating distributed scheduling agents; all of which contribute directly to the realization of execution-driven scheduling models. I’ll attempt to characterize where the field stands with respect to this overarching goal, and what principal challenges remain. Short Bio. Stephen Smith is a Research Professor in the Robotics Institute at Carnegie Mellon University, where he heads the Intelligent Coordination and Logistics Laboratory. His research focuses broadly on the theory and practice of next-generation technologies for complex planning, scheduling and coordination problems. He pioneered the development and use of constraint-based search models and heuristics for solving scheduling problems, and he has led the development of innovative planning and scheduling systems for a number of complex applications. He has published over 215 technical articles on these subjects. He is Associate Editor of the Journal of Scheduling, was a founding member of the ICAPS executive council (2002-2008), and currently serves on the executive council of the International Society of Interdisciplinary Scheduling. 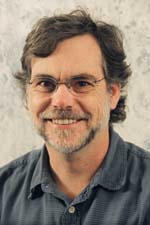 In 2005, he received the Allen Newell Medal for Research Excellence, awarded annually by the CMU School of Computer Science. In 2007, he was elected a Fellow of AAAI. Abstract. Cars kill over a million people every year. The speaker will report on progress to make cars safer, more convenient, and more efficient (gas, space, utilization), through robotic technology. Building on AI advances that led the Stanford Racing Team to victory in the DARPA Grand Challenge and second place finish in the Urban Challenge, Stanford has developed advanced mapping, localization, car tracking, control, and planning methods, which enable cars to navigate in dense urban and highway environments. The speaker will survey the latest research in this area, and speculate about possible ways to get this technology into every car. Short bio. 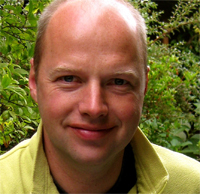 Sebastian Thrun is a professor of computer science and electrical engineering at Stanford, where he directs the Stanford AI Lab. Thrun has published 11 books, over 300 scientific articles. Thrun is probably best known for his pioneering work on probabilistic robotics, and the victory of his team in the DARPA Grand Challenge. Thrun is a fellow of the AAAI, ECCAI, WTN, and member of the National Academy of Engineering and the German Academy of Sciences. Popular Science included Thrun in their "Brilliant Ten", Fobes Magazine as one of seven "E-Gang" members, Scientific American in their list of 50 world technology and policy leaders, and Wired awarded Thrun's robot Stanley the top spot in the most influential robots of all times. Thrun also serves as a Principal Engineer at Google where he was instrumental in the creation of Street View. Finally, he is a senior advisor to Charles River Ventures, an early stage venture capital firm. Note: The full Conference Program in PDF format is available online (1.12MB). It will be given to participants in printed form on site. Landmarks, Critical Paths and Abstractions: What’s the Difference Anyway? 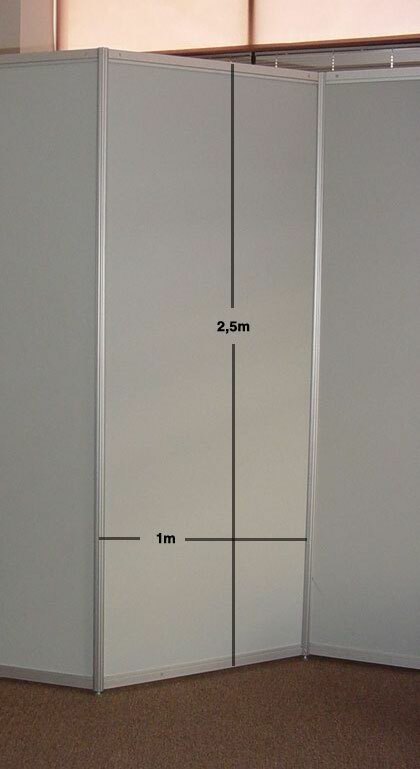 Poster stand specifications: Width = 1 meter, Height = 2,5 meters. For a picture click here. Note that although in the picture the poster stands appear adjacent to each other, in our setup they will be separately, with enough space between them. They also will be used one-side only. Pins are not allowed to hang the posters; glue will be provided onsite. Please hang your poster as early as possible in the day of your poster session.